Carnation Auto Blog: Hyundai Elantra – Truly Avante-Garde Sedan! Hyundai Elantra – Truly Avante-Garde Sedan! Not too many years back, Hyundai had launched the Elantra in India to compete in the mid-level sedan segment. Though then the sedan didn’t really catch the imagination of the Indian car buyer, but it taught the car company an important lesson. That Indians are discerning when it comes to hackneyed designs and technology. Now riding high on the success of its ‘Fludic’ design models like the i20 and the new Sonata, Hyundai is re-launching the fluidic Elantra in India. This compact, four-door sedan has eye-popping styling, excellent features, and significantly improved mileage as compared to the older Elantra. Priced between Rs. 11 to 14 Lakh, this new avatar of the Hyundai Elantra, also named as Avante, is going to be a direct competitor to the Honda Civic, Renault Fluence, Skoda Laura, Toyota Corolla Altis, Volkswagen Jetta, and Chevrolet Cruze. Expected to be launched around December 2012, this car will be fitted with a 1.8 litre 4 cylinder petrol engine with the patented D-CVVT technology (Dual-Continuously Variable Valve Timing) that promises a 148PS output. The diesel variant will house a 1.6 litre CRDi engine capable of churning out 120PS output. Both variants will have a 6-speed manual gear system or a 6-speed automatic gearbox with ‘Shiftronic’ (manual over-ride) system. All the usual features and equipment present in a premium mid-level sedan will be available in the Hyundai Elantra like Climate Control, Bluetooth Connectivity, ABS, and Reverse Parking Sensors among other things. Some really good safety features like 6-airbags, ABS with EBD, and traction control etc will also be fitted in the India made car. From the images available online, the interiors impress with their level of detailing and quality. Also, internationally the Hyundai Elantra is considered to the one of the most beautiful cars in the world and the fact that this vehicle will make its entry in India is an exciting prospect. 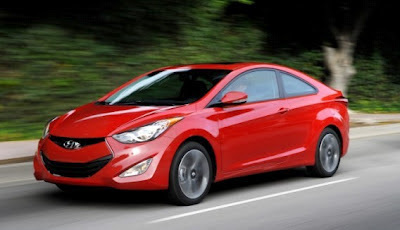 If you have some interesting facts, features etc about the Hyundai Elantra, don’t forget to share them with me.